Verizon did it. AT&T did it, and Sprint did it, too. 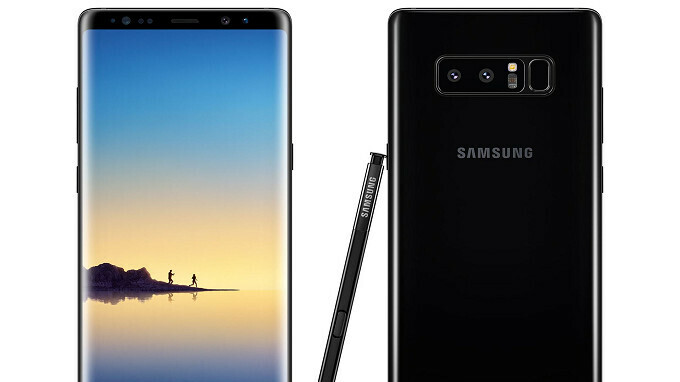 Those three carriers already started updating their versions of the Samsung Galaxy Note 8 to Android 8.0 Oreo. So that meant that T-Mobile subscribers with the Galaxy Note 8 have been left out. But all of that changes on Sunday night when T-Mobile starts pushing out the update OTA to its customers toting the handset. The update will roll out in waves, so if it doesn't hit your phone immediately, you can go to Settings and tap on updates to see if you can coax it out manually. If not, be patient and the Android build named for the delicious creme-filled cookie will soon arrive. When you do receive the notification alerting you to the updates' arrival, make sure you are connected to a Wi-Fi signal before proceeding. You should also check to see if your battery is fully charged before installing the update. Android 8.0 brings new features such as Picture-in-picture. This allows users to watch a video while they continue to use an app that is running in the background. Notification dots appear on the icon of an app when there is an unread notification. And by reducing the activity of apps running in the background, Android 8.0 will help extend the battery life of Android handsets. I updated my Verizon note 8 yesterday . Received this update today on 4/2 Why they never changed the support doc out of development is beyond me. Today they changed the doc to Complete. Woo-hoo? Im happy that Oreo is so far an improvement for this phone. Performance, battery, and some of the GUI is much smoother.